Do you have big enough a why ? want it. 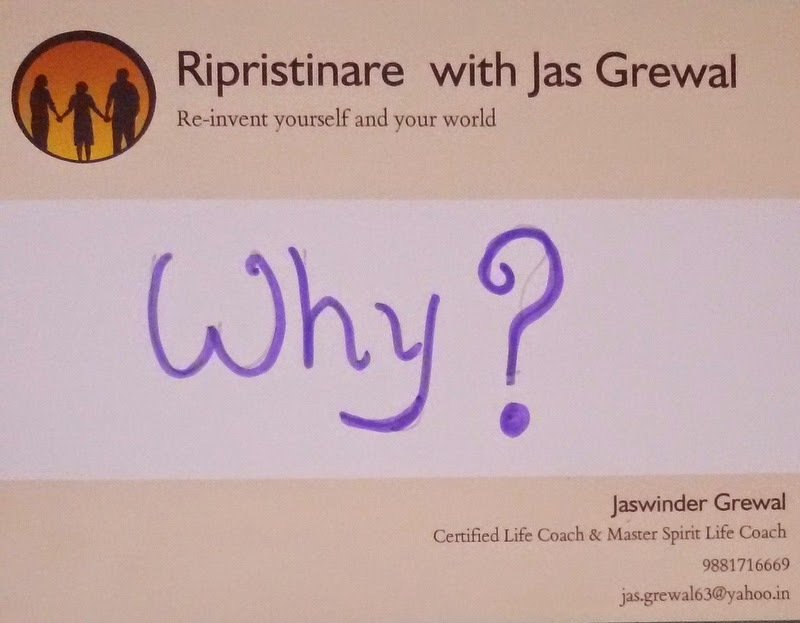 Do you think your why is as clear? We all have dreams and they soon get converted into goals and the first thought that strikesis how do I do it? We immediately tend to be too focussed on the “how”of it . “How do Iachieve this goal”? As a consequence we miss the all important why. If you have animportant goal, it surely needs a big why. With the awareness comes the determination andresolve to overcome the challenges that we encounter in the journey. The more stronger thewhy we substantially increase our chances for success. The WHY is about providing you with clarity that allows passion to manifest and in turn becomes your inspiration – the inspiration to improve all aspects of your own life, inspire those around you and make the world a better place. The WHY movement that you start is very fundamental and very crucial. If one can operate from that place of, “this is really me”, and if we can give in our 100% every day for ourselves, for our families, and for our jobs, that’s what can really change the world. Just think over. How's YOUR why? Just in case you are not making the progress you think you should be making in achieving your goals, maybe you haven't inspired yourself with enough reasons why you want them. Maybe you are not clear about what is motivating you to achieve what you want to achieve. What do you think you could do today to increase your motivation and determination to achieve the goals you've set? Make a good list of why you want each important goal. Review this list often and see yourself focussing not only on what you want , but “WHY” you want it. It works… its takes you a step closure to success !